Venturing out on a camping trip or on a long trail? 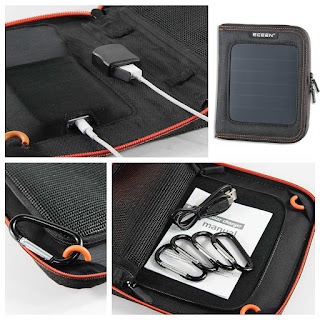 Never run out of power to charge your gadgets with this foldable, bag mountable, solar panel charger. It's ideal for road warriors and adventurists who would wish to stay connected always. Just unzip the panel bag and hang it on your backpack with the panel facing the sun directly. Now you are all set to get charged up. Use the promo code EGLU98G5 to get a discount from its original price.